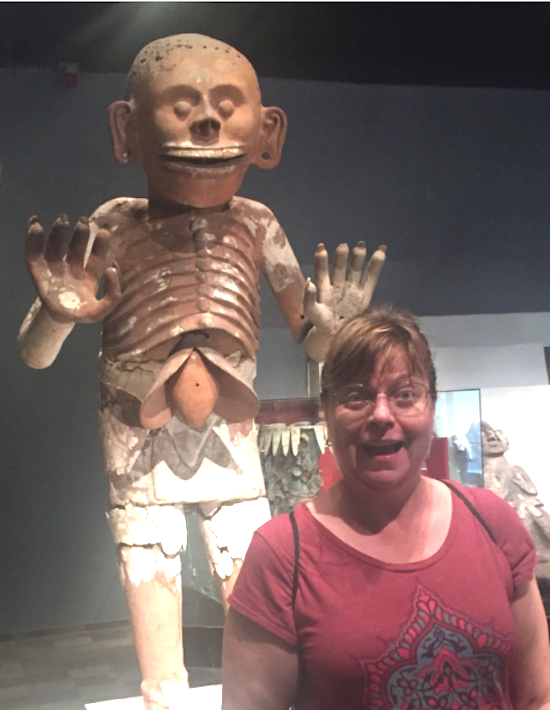 Dr. Heather Edgar, an associate professor in the departments of Anthropology and Pathology, has been awarded a $702,000 grant from the National Institute of Justice to convert a dataset of whole body decedent CT scans into a searchable database that will be available and free to researchers online. “A few of my colleagues and I knew that the Office of the Medical Investigator was amassing a huge number of whole body CT scans and that no other set of data like it existed, but that the images were stored in flat files that were unsearchable. You couldn’t ask, for example, to find all the men who died of cancer between ages 50 and 60. So, for these images to be made available for research, they would have to be searchable,” Edgar said. To find out what data needed to be available for searching, Shamsi Berry, a recent doctoral student, conducted an iterative survey that was sent out to a variety of researchers to gauge what they thought was important to include in the dataset. Edgar also worked with Susan Atlas, then director of UNM’s Center for Advanced Research Computing (CARC), to find a safe way to store and deliver the CT scans to different recipients. When Atlas took a leave of absence to go to the National Science Foundation, the collaboration with CARC continued with director Patrick Bridges. Additionally, Edgar worked with Natalie Adolphi, who is the director of the Center for Forensic Imaging, to anonymize the CT scans. According to Edgar, this de-identification process proved to be very difficult. Along with those collaborators, Edgar submitted an application to the National Institute of Justice. “I think this project has made me a better manager, and has made me appreciate having really great collaborators. There are so many moving parts to making this database for research a reality. There’s no way I could be an expert in all of them. But, I don’t have to, because I have fantastic experts I’m working with who make things possible. I just have to steer the ship.” Edgar said. Edgar hopes the data will be made available by the end of 2019.